“Art’s Birthday” is an annual event first proposed in 1963 by French artist Robert Filliou. One million years ago on January 17, someone dropped a dry sponge into a bucket of water. And so, art was born. Filliou proposed a public holiday to celebrate the presence of art in our lives. In recent years, the idea has been taken up by a loose network of artists and friends around the world who exchange audiovisual parties, first via the post, telephone, fax, and later internet streams and public radio satellite. Each year the Eternal Network evolves to include new partners – working with the ideas of exchange and telecommunications art. This year, I’ve joined Absolute Value of Noise to realize the Embodied Radio Device, a generative radio stream which supposes an Artificial Intelligence that is trying to recreate the sounds of life in its immediate environment – imitating the sounds of insects, birds, frogs, magnetic phenomena, the wind moving through the trees, rain falling, and waves on the ocean. The humans play along with various forms of synthesis. Listen online until January 18, 2019. AI constructed by Absolute Value of Noise, using his Solar Radio outdoor installation which responds to sun exposure and environmental factors, and I’ve provided some accompanying ‘human synthesizer’ and assorted radiophonic/acoustic grit. Tune in– best accompanied with cake. 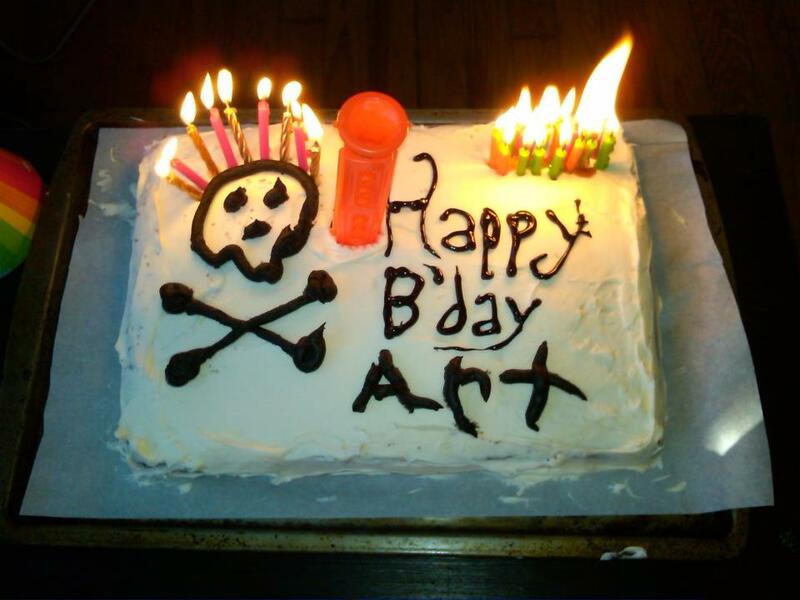 Happy Art’s Birthday! Remember: the End is just pretend!